The premier bounce house business on the Central Coast. 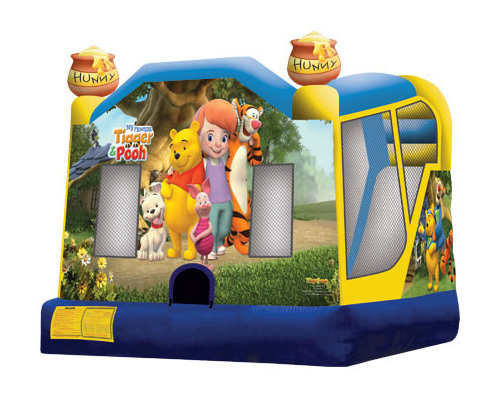 Premier Inflatables is a family owned and operated business that prides itself in providing a first-class quality bounce house and superb customer service. We guarantee that you will be happy from beginning to end! Give us a call today and experience the premier choice for inflatable fun! 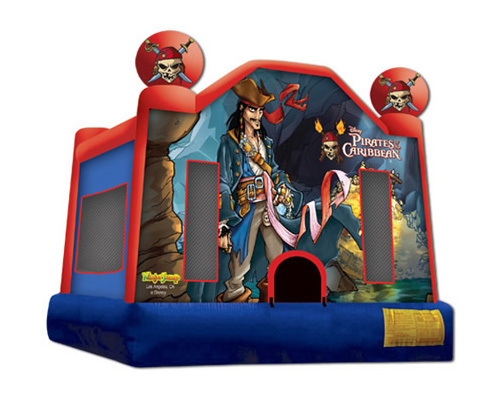 Premier Inflatables has a wide assortment of bounce houses, combo bounce houses, and bounce house slides to choose from. 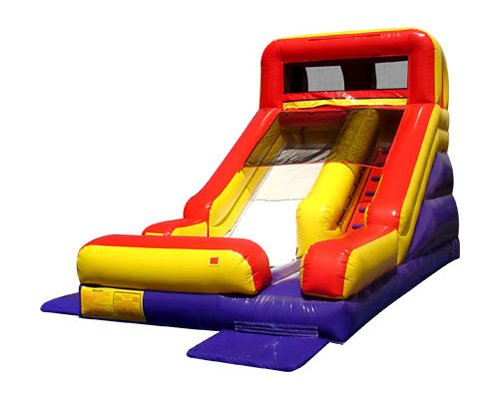 Whether your event is a small backyard party or a huge summertime splash in the park, we’re sure to have a bounce house, slide or combo unit to fit your needs. 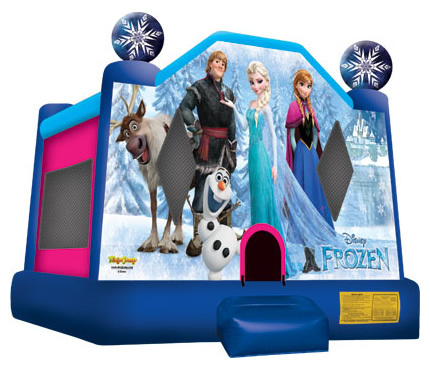 Check out our new Frozen bounce house! 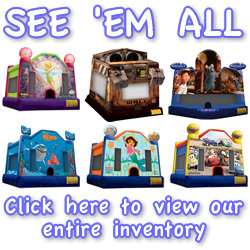 Please click here to see our entire selection of standard bounce houses. 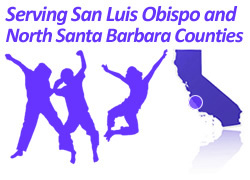 Our bounce house rental territory covers all of San Luis Obispo County, as well as areas in northern Santa Barbara County. We’re located in the heart of the California Central Coast, so if you need us as far north as Paso Robles, or as far south as Buellton… we can be there and anywhere in between! More specifically, Premier Inflatables happily serves the following cities: Arroyo Grande, San Luis Obispo, Nipomo, 5 Cities Area, Atascadero, Templeton, Paso Robles, Orcutt, Santa Maria, Los Alamos, Santa Ynez, Buellton and Los Osos. If you don’t see your city listed please feel free to contact us as we are able to make special arrangements to travel outside of our normal service areas. For more information, have a look at our FAQs section or give us a call today at: (805) 478-2819.